The withdrawal of the Government Digital Service (GDS) from work on developing the IT for Universal Credit has been identified as one of the major risks for the troubled project over the next 12 months. In the latest draft business case for the government’s flagship welfare reform programme, excerpts of which have been seen by Computer Weekly, a section titled “High level risks to UC transformation plan” details the major challenges foreseen by the project team. The withdrawal of GDS, revealed by Computer Weekly last year, along with a decision to make little or no use of the existing IT contractors in the new digital system, means the Department for Work and Pensions (DWP) has to recruit or source its own team of developers – a task that falls on Kevin Cunnington, the recently recruited director general for digital transformation for the department. Computer Weekly sources said Cunnington has already acknowledged internally that DWP does not have enough in-house digital skills. The department has heavily outsourced its IT in the past, and as a result has diminished its internal software development capabilities. Recruitment experts said attracting digital skills to DWP will be a major challenge. “There are, simply, more jobs available in digital and software development than people to do them,” said Harry Gooding, head of client engagement at recruitment consultancy Mortimer Spinks. Gooding said that, ironically, the government’s own policies may hinder its need to find developers with skills in digital and agile methods. “David Cameron’s immigration policies mean we are no longer getting the same wave of immigrants coming to do the IT jobs we have available. It used to be that at least a third of the tech/digital jobs we recruited were filled by English-speaking people from Australia, New Zealand and South Africa who were excellent developers. There is no longer the same incentive for them to fight their way into this country - which is what it now takes - and work here,” he said. 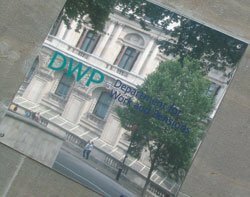 Disagreements over the best approach to the IT development for Universal Credit led to GDS pulling out of further work on the project last year, after it was brought in to help rescue the troubled project. The DWP, led by secretary of state Iain Duncan Smith, chose to pursue a “twin-track” approach, whereby a new “end-state” digital system would be developed in parallel with further work on the existing system, which has been subject to heavy criticism from the National Audit Office and the government’s own project management experts. GDS, under the auspices of Cabinet Office minister Francis Maude, recommended scrapping the existing system and starting again from scratch – an option considered unacceptable by Duncan Smith. Some £307m has already been spent on the current system, with a further £90m planned – but much of it will be thrown away and replaced by the “end-state” system by the time Universal Credit goes fully live in 2017/18. The DWP has admitted that £131m of IT work has been already scrapped or will be written off by the time the programme is rolled out nationally. A DWP spokesman said: "We set out plans last month for the future roll-out of Universal Credit and they have not changed. Our primary concern remains ensuring that this vital reform is delivered in a safe and secure way. We have been very clear that DWP would take over development of the new digital service following the initial GDS work."